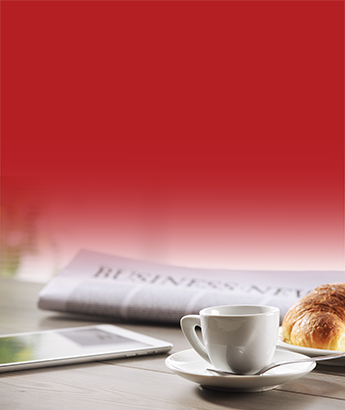 I have highlighted in previous ShareCafe articles the criteria that I look for when identifying companies that I believe can return several times on my investment. It has been the backbone of my other successful recommendations over the years that I have highlighted to readers here including MGM Wireless (MWR) and Helios Energy (HE8) in 2018, Lynas Corp (LYC) in 2017 and Structural Monitoring Systems (SMN) back in 2015/2016. I noted in my “Favourite Trades For 2019” column, I would present opportunities as they arose rather than being forced to pick something at the start of the year that might not be ready to run yet or that I don’t have complete faith in. 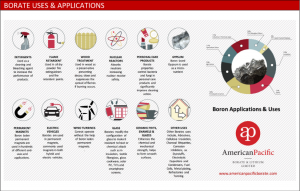 Now I am presenting a small cap that fits all three of the above categories – American Pacific Borate (ABR). I currently don’t hold a position in this company but am looking to accumulate over the coming weeks and months as they continue on their path to success. I think it is a compelling opportunity. ABR recently commissioned an in-depth research report available here. This helps explain how the Company appeared on my radar once again. Before, checking off the key three-point checklist above, who are ABR? 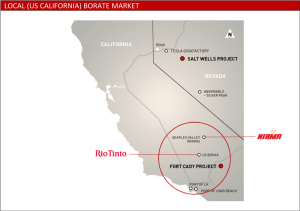 ABR is developing the Fort Cady borate project in California, USA – effectively placing it (regionally) at the centre of its key markets. The attractiveness of this project is the path to production is in fact very low risk with low capital expenditure and after successfully completing a Scoping Study in 2017 and DFS at the end of last year, investors can still buy this stock for less than ABR’s original listing price of 20c back in mid-2017 and certainly well off its record high of 55c. I was a participant in its IPO and took profits after it rallied strongly after listing, so it makes sense that I would return back again at even cheaper prices when the project is even more advanced. One of the first hurdles any Company must pass with me is strong management, someone who has a proven track record of creating substantial wealth for shareholders so I can have faith that the path to success can actually be executed, executed on budget and on time. Many management teams rattle off their resumes that include being part of large multi-national organizations but to me I need more than that. Sometimes success in investing can be as simple as following successful people. Anthony Hall (Executive Director) was formerly the Managing Director of Highfield Resources (HFR) from 2011 to 2016 where under his tenure the share price increased from IPO of 20c to a peak of $2.08 – or from a $10 million market cap to an $800 million market cap – as it advanced potash projects in Spain. Clearly Anthony has that track record and importantly in growing small cap companies. I show the performance of HFR during the period Anthony was at the helm. Impressive. Interestingly the performance of HFR after listing is almost identical to that of ABR where after the first 12 months the share price is still broadly the same price as at the time of the IPO, but then as Anthony was able to begin delivering on key milestones the market began to reward the progress. I am excited to see Anthony create his magic here again and create a HFR 2.0 if you will. Remember one of my key reasons for backing Helios (HE8) from IPO was purely because of management’s previous history of successfully taking a small cap and creating a billion dollar company. It gained 800% at its peak and still up 600% from IPO. So what are Borates? 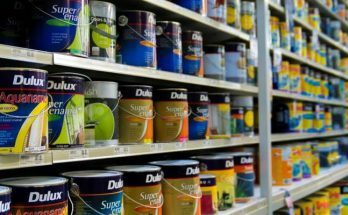 Borates are used in a wide variety of applications from detergents, ceramics, personal care products and even used to create scratch resistance glass. However, the applications that specifically excite me are part of the “Green Movement” that are specifically used in the push towards greener energy. Borates are used in the magnets of hybrid and electric vehicles and importantly in wind turbines as well as charging stations. We know of the worldwide push towards greener living and I believe that to really adopt the EV, the charging infrastructure will experience a massive boom. Anything that benefits from this (that isn’t over supplied like lithium) will benefit. Just as importantly, borate is also used in strengthening steel as used in motor vehicles. To meet important emission standards and combat EV “range anxiety” cars must be lighter and borate strengthened steel is a crucial component. Borate is produced largely two main suppliers, Turkey and Rio Tinto. The two account for roughly 80% of the world supply and there are very few new projects coming on stream in the near-term. As a result it is no surprise that ABR has signed cooperation agreements with subsidiaries of two major Chinese companies – Sinochem and Sinomach – given China is the biggest consumer of borates and a major net importer. Unlike other MOU’s and agreements between Australian and Chinese companies that often amount to nothing, Sinochem and Sinomach are global giants, so I personally believe this reflects the importance of not only borates but also the significance the Fort Cady projects brings to the market. 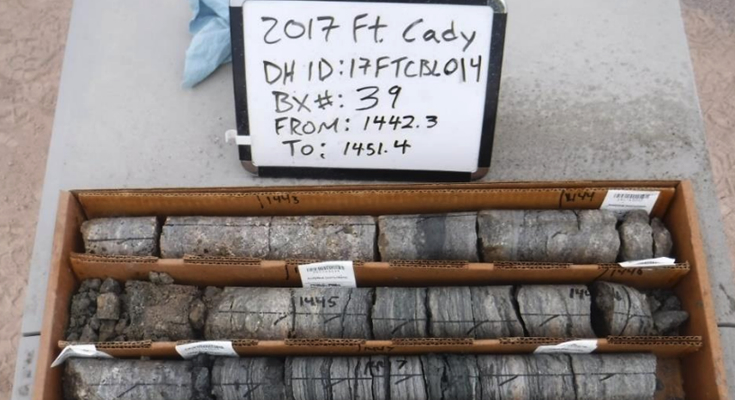 Fort Cady is a past producing asset and is particularly important due to it being a colemanite resource. Such resources contains zero sodium and in several applications (especially glass, LCDs etc) no sodium borates are used. Turkey currently is the only producer of colemanite, with Fort Cady the only other viable deposit to be coming on stream in the foreseeable future, giving it strategic significance as a supply source from a reliable jurisdiction. As mentioned, ABR has already released their DFS (December 2018) which highlighted a Net Present Value of US$1.083 billion based on the production of 108,000 tonnes per annum of Sulphate of potassium (SOP) and 408,000 tonnes of boric acid in seven years. In its first full year of production as a completed project EBITDA is forecasted to be US$345 million. This is a sizeable operation with clearly a significant amount of upside if executed. So what is the path to production? The path to that production is broken into several phases with Phase 1 broken into two stages to help proceed to production (and cashflows) with minimal financing impact and dilution to existing shareholders. 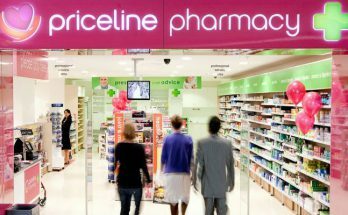 Experience of management here has driven this direction and I believe it will prove to be a major catalyst in the initial uplift in the share price given it brings forward the path to cashflows. The first phase (1A) will see construction commence of the first small plant in 4Q2019 to produce 36,000 tpa and 5,443 tpa with first production 12 months later. First production is expected 12 months later. Cost to have the plant into production – US$37 million which should be financed through debt. Considering Anthony Hall raised over $110 million while at HFR I don’t see this as an issue. 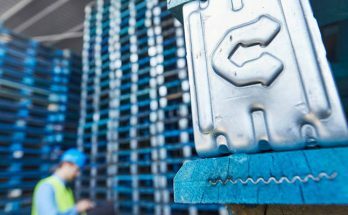 Phase 1A in its first full year of production should produce and EBITDA of US$27 million making it very attractive as a business in its own right. 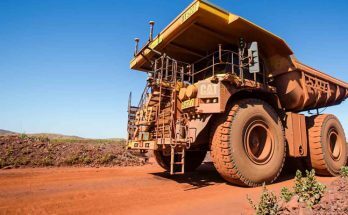 The cashflows from Phase 1A will help finance part of the capex required for Phase 1B, again helping limit the impact on shareholders as production ramps up. Taking this approach reflects the conservative approach that management is taken rather than a “sink or swim” approach of trying to build a large scale project immediately. Too often, small miners fail to explore the options to mitigate the risks of large scale projects and try to deliver the end prize immediately, ultimately failing in the process. I have confidence this won’t be the case here given the importance of borates, its long-term demand and lack of any near-term supply responses. The ramp up schedule is shown below, taken from the DFS, where clearly the financial metrics are extremely attractive. When looking at the valuation of ABR to determine its attractiveness there are several approaches that one can take. Now, I only learnt this metrics myself recently, but typically a project that is one year away from generating cash flows and is fully financed with all approvals in place trade at between 30 to 50% of NPVs. Effectively this means that once ABR has its financing in place for Phase 1A it should be trading at a minimum of $1.21 compared to sub-20c. Remember ABR has already been as high as 55c so double that again as it begins construction of its plant in 4Q this year is an excellent return, reflecting the extent to which the market has overlooked the uniqueness of this project, the borate market and the lower risk path to first production. Once first production approaches I would expect that the market would begin to price in the successful execution of Phase 1b, then Phase 2 and so on. A second way is to compare it to a peer. When I researched and discussed MGM Wireless as it traded in the low $1.00 range (it hit $5.00), I made a comparison to Nuheara (NUH), in an attempt to see what metrics MGM should trade at if it succeeded on achieving its milestones. Well for ABR, there is listed Ioneer (INR) to make a comparison with. INR has a project in Nevada and while it’s specific chemical product is slightly different – producing 20K tpa of lithium carbonate and 173k tpa of boric acid – giving an NPV of US$1.1 billion. The NPV is similar to the NPV for ABR’s project, however ABR is more advanced with its project but trades at a tenth of the market cap of INR. Clearly the market is prepared to reward and be excited by borate related projects. This is a good sign and reflects how cheap ABR is right now. Some of the points presented here I have taken from the in-depth research report that landed on my desk. I am not foolish enough to believe that all my good ideas are my own and that every piece of research is my own. The skill is being able to piece it all together and to perfect the timing. I can see that as ABR has drifted off the radar for many, it presents an opportunity to buy a Company that has made significant progress since its IPO but given no reward. I believe that is a gain for buyers today. Once finance is locked in for Phase 1A, it will be the catalyst for a re-rating to record highs. I know I would like to own shares before that happens as sometimes it is better to be 2 months too early rather than 2 minutes too late. 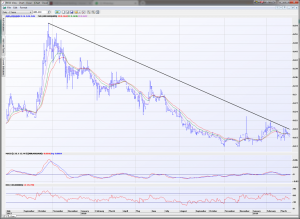 As the chart above shows, the ABR downtrend is nearing completion. 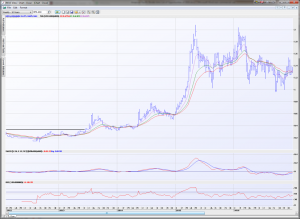 The share price has stabilized and begun working its way off the 12c lows. A breach of that trendline will be the start of a new upleg that any technical analysis textbook will tell you is your entry point. I am happy to be accumulating ABR, given that is currently valued at a tenth of its nearest peer with a low-risk path to production. I am backing management to execute on their plan as they have done before with HFR which means that come the end of the year we could have another return that represents multiples on our initial investment. Greg Tolpigin has over 20 years of experience as a proprietary trader and high-level strategist for the major investment banks including Citigroup, Bankers Trust and Macquarie Bank.